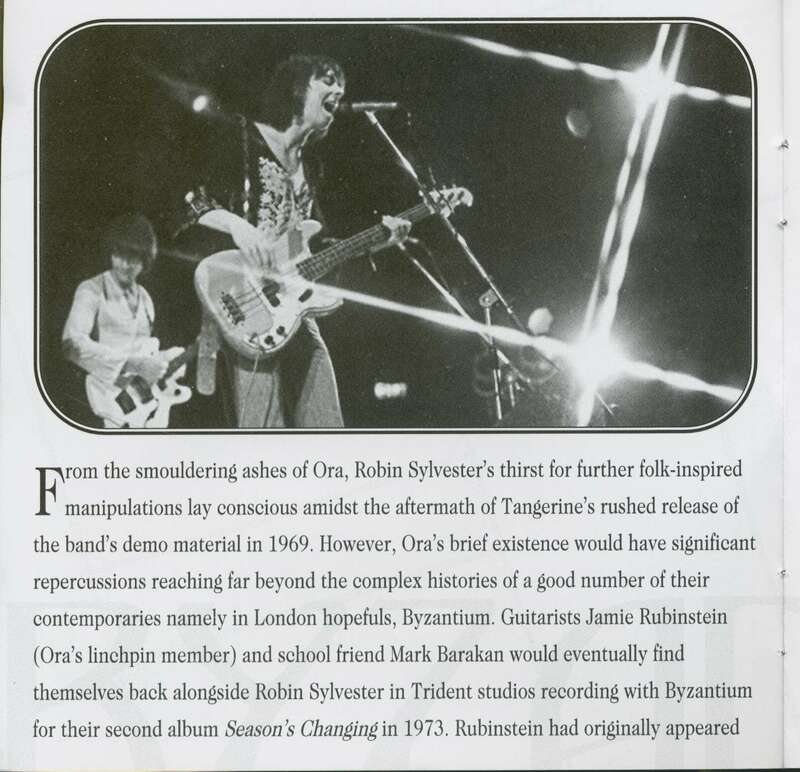 From the smouldering ashes of Ora, Robin Sylvester's thirst for further folk-inspired manipulations lay conscious amidst the aftermath of Tangerine's rushed release of the band's demo material in 1969. However, Ora's brief existence would have significant repercussions reaching far beyond the complex histories of a good number of their contemporaries namely in London hopefuls, Byzantium. 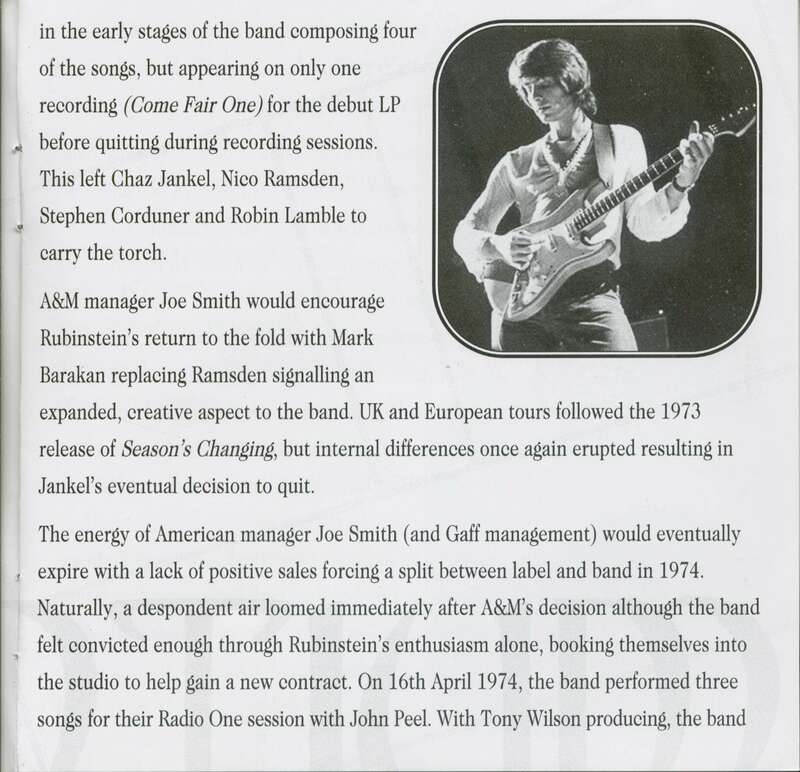 Aside from their two albums for A&M in 1972 and 1973, their BBC session for John Peel from April 1974 also stands as official testament to their work. 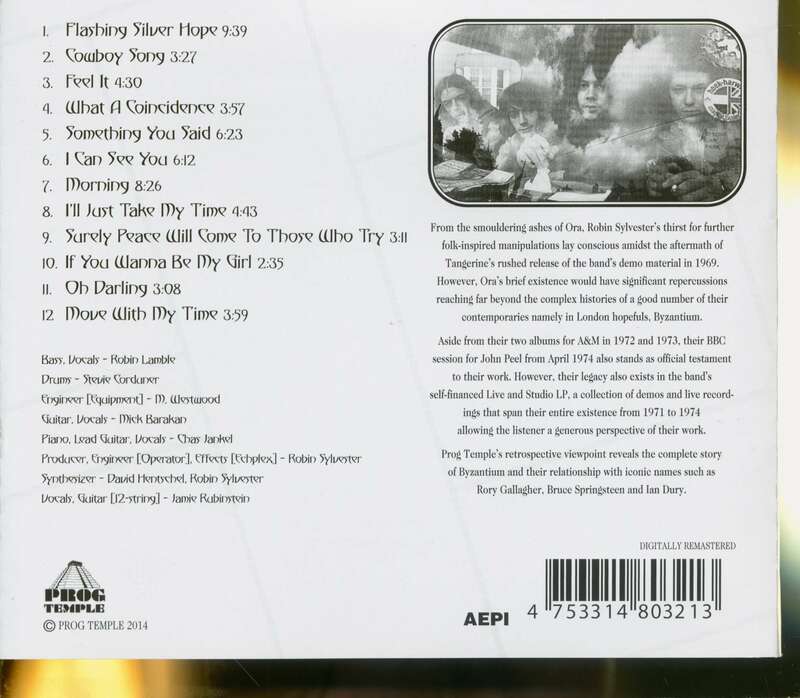 However, their legacy also exists in the band's self-financed Live and Studio LP, a collection of demos and live record-ings that span their entire existence from 1971 to 1974 allowing the listener a generous perspective of their work. 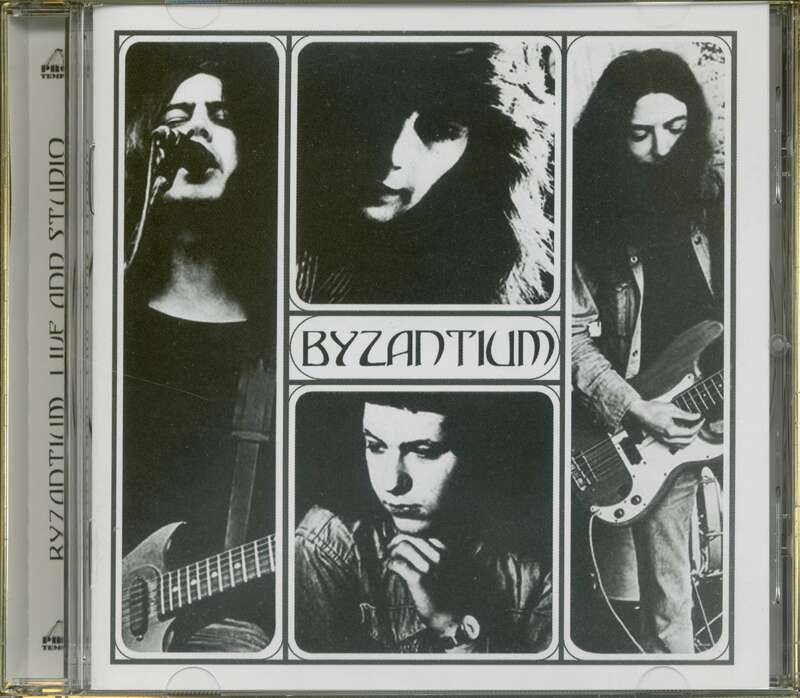 Prog Temple's retrospective viewpoint reveals the complete story of Byzantium and their relationship with iconic names such as Rory Gallagher, Bruce Springsteen and Ian Dury. 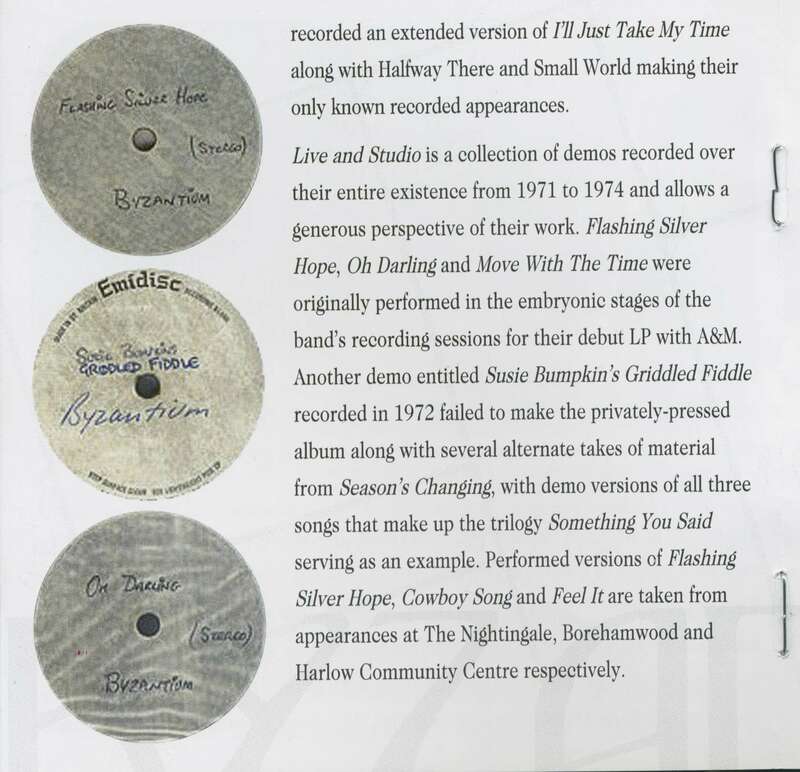 Customer evaluation for "Live And Studio (CD)"